Laggy smartphone? Battery always empty? Launching apps takes forever? Boost your smartphone performance and free memory at the click of a button. Installed apps, downloaded files, photos, music, videos - over time, your smartphone will become cluttered and slow. 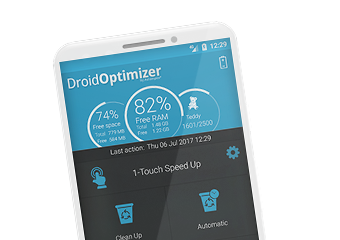 Declutter your phone and reclaim disk space with Ashampoo Droid Optimizer. Browsing the Internet with your smartphone leaves various traces that can be used to violate your privacy. And let's face it, do you really know all the time what device permissions your installed apps have? Get rid of Internet traces and expose potential spy apps with Ashampoo Droid Optimizer. The integrated Good Night scheduler can disable features such as WLAN or mobile connectivity automatically during customizable time periods. Put your smartphone to sleep at night and conserve precious battery power with Ashampoo Droid Optimizer. Cleaning doesn't have to be boring. Ashampoo Droid Optimizer comes with a ranking system that uses achievements and funny pictures to keep you motivated. You will clean your way from novice to master in no time. 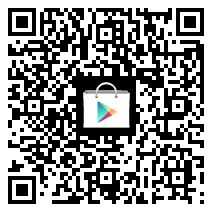 Ashampoo Droid Optimizer is and will remain free to use and without ads. Ashampoo Droid Optimizer works with Android 2.3 and higher devices which is practically every device. I've been using ashampoo products for years on my PC and I'm so happy that they made one for the Droid system. I wouldn't use anything else. It delivers on all fronts with no spam or ads. A definite must download.